You can cancel right from the app. We're sorry if Buddy Punch wasn't a perfect solution for you. 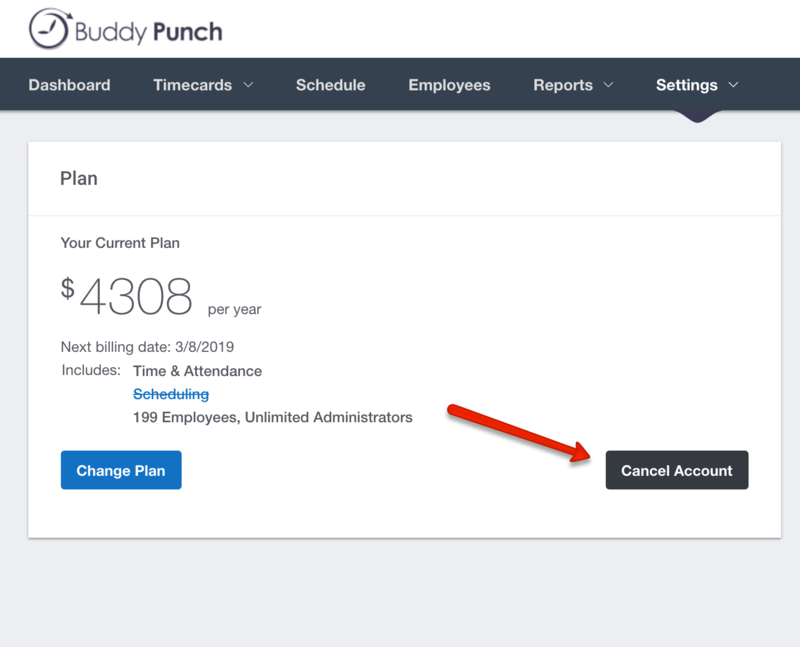 When you sign in as an administrator you can cancel your account directly from the dashboard. 2. In the top navigation click on "Settings" and then choose the drop down option "Billing"
3. Click the "Cancel Account" button.